Get yours for just $40. In June 2009, Apple introduced the world to the iPhone 3GS. It was “the fastest, smartest phone yet,” with improved cameras, video recording, and voice control. Nine years on, smartphones are a lot different — and the iPhone 3GS looks like a relic in comparison. But that hasn’t stopped one carrier from restarting sales at just $40 apiece. The iPhone 3GS looks just like its predecessor, the iPhone 3G, with a curved plastic back and a shiny stainless steel bezel that wraps around its 3.5-inch (non-Retina) screen. Its 600MHz processor made it significantly faster than previous Apple smartphones, while its maximum 32GB of storage gave users more space for apps, music, movies, and photos than ever before. It was incredibly advanced for its time, but the iPhone 3GS isn’t suitable as a daily driver today. It cannot run Apple updates later than iOS 6, and it isn’t compatible with the latest apps and games in the App Store. It might be the ideal backup phone for long-time iPhone lovers, however. 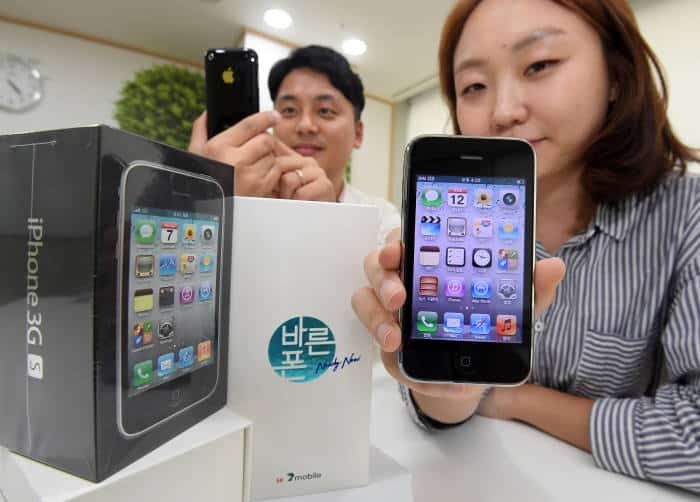 That’s why South Korean carrier SK Telink has restarted iPhone 3GS sales. It is offering brand new devices, in their original packaging with original Apple accessories, through its SK Seven brand for just $40 each. Every unit has been tested and confirmed to be working after sitting in a warehouse for nine years. Given that retro Apple devices sell for crazy money, SK Seven will almost certainly see its iPhone 3GS units selling quickly. Pristine models will be worth a fortune in years to come, and will serve as ideal backup devices — still capable of making calls, sending texts, and playing music — in the meantime.